At Virtue Dental Care, conveniently located near Burlington, NC we pride ourselves on offering a wide variety of dental services. From general dentistry to orthodontic treatment, we make sure we are a full-service provider to our patients. Cosmetic dentistry is one area of expertise that we truly love. 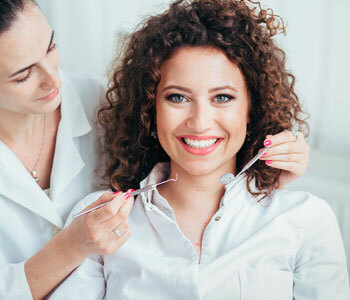 Cosmetic dental solutions allow us to improve the appearance of patients’ smiles, which allows them to enjoy greater confidence and often improves their oral health. We offer a variety of cosmetic treatments that can all be tailored to the unique needs of each patient. We can help whether someone comes to us simply wanting to erase some stains or wants an entire smile makeover. Below is a sampling of some of our most common cosmetic dental procedures. By far, one of the most versatile solutions, porcelain veneers can address many different imperfections. The wafer-thin strips of porcelain are placed on existing teeth to alter their appearance. Veneers can change the appearance of the size, shape, color, or spacing of the teeth. The dental porcelain used is strong and can be color matched for natural looking results. Porcelain is stain resistant, so patients can enjoy their newly improved smile for many years. A straight smile is important for a healthy smile. Patients who have crooked teeth may want to consider one of our two alternatives to traditional braces: Six Month Smiles or Invisalign. This revolutionary treatment uses clear brackets and tooth colored wires on only the teeth visible at the front of the smile. Because treatment does not focus on the harder to move teeth in the back of the mouth, it can be completed much quicker than regular braces. Invisalign uses a series of clear aligner trays to gradually reposition teeth. The trays are made from a smooth, BPA-free plastic and are nearly invisible to others. Patients wear each set of trays for 20-23 hours each day, taking them out to eat and clean the teeth. Every two weeks the trays are swapped out for the next set in the series. The length of Invisalign treatment varies by individual, but most patients see results within 12-18 months. While many of our treatments can individually help patients achieve their desired results, in some cases, we may recommend multiple procedures as a part of a smile makeover. If we find that you may benefit from multiple procedures, we’ll work with you on a plan that addresses your needs and fits within your timeline and budget. Our goal at Virtue Dental Care is to exceed our patients’ expectations. When we meet with you for a cosmetic consultation, we want to get to know you and understand all of your concerns and desires. Our office utilizes state of the art technology, so we can accurately assess your smile and we work with top quality dental laboratories that use the highest quality materials available. 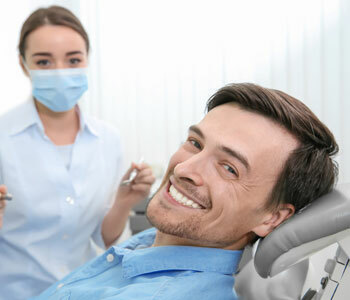 As an added benefit, Virtue Dental Care is a biological dental office, which means that we do not utilize dental materials such as amalgam, which contains mercury. We offer the safe removal of amalgam fillings and can replace them with beautiful, natural looking composite resin fillings to improve the health and appearance of your smile. If you’re ready to take the first step to enjoying an enhanced, healthy smile, we invite you to contact our office today by calling (336) 679-2034 to schedule your consultation. We look forward to the opportunity to meet with you and use our expertise to improve your smile and confidence with cosmetic dentistry.